We were thrilled to be a part of this Moroccan themed photo shoot. 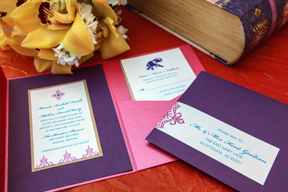 We created all the stationery items, including invitations, menus, place cards and even favor tags. This shoot was picked up by several national blogs. Check it out BlushLoveWed and Wedding Colors.